San Diego’s Rotary 33 Club, one of the five largest Rotary Clubs in the world, holds weekly programs at the LSCC. The organization, whose stated purpose is to “conduct humanitarian projects, encourage high ethical standards in all vocations and work toward world understanding and peace,” host a weekly program series allowing guest speakers and panel discussions to present on a wide variety of topics and issues. All programs are held at the LSCC on Thursdays at noon and members from the local community are welcome to attend by contacting them directly. Every year the San Diego Rotary Club sponsors a three-day workshop for a selected group of eighty eleventh-grade students interested in business and the economy. The weekend camp, which includes presentations, panels, group discussions, and the opportunity to interact with local business leaders, is held at Camp Cedar Glen in Julian, CA, but the opening event will be held at the LSCC. 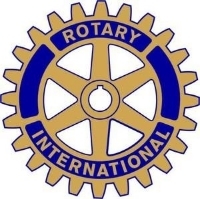 More information about Rotary Camp Enterprise (RCE) can be found at the Rotary 33 website. 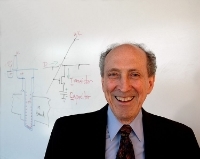 Robert Dennard is a renowned electrical engineer and inventor, and among his many accomplishments is the creation of Dynamic random-access memory (DRAM), which is the RAM used on all personal computer systems. Dennard was award the Kyoto Prize in 2013. Here on the LSCC Events Blog we will present an overview of all programs at the beginning of each month, and then each week spotlight the upcoming event with more detailed information. A panel of experts will discuss how San Diego’s location near the Mexico border offers a number of unique opportunities for local businesses. A panel representing several local business development organizations will share their perspective on the upcoming year, including business forecasts and the possible impact on San Diego businesses. Rick Itzkowich, a renowned expert on LinkedIn, will give a presentation on how businesses can best utilize the popular website LinkedIn.